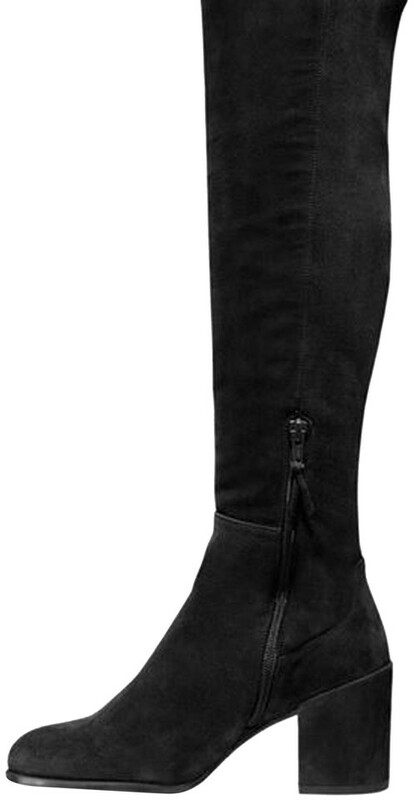 Stuart Weitzman Alljack Over The Knee Boots size 9.5 M. True to size. 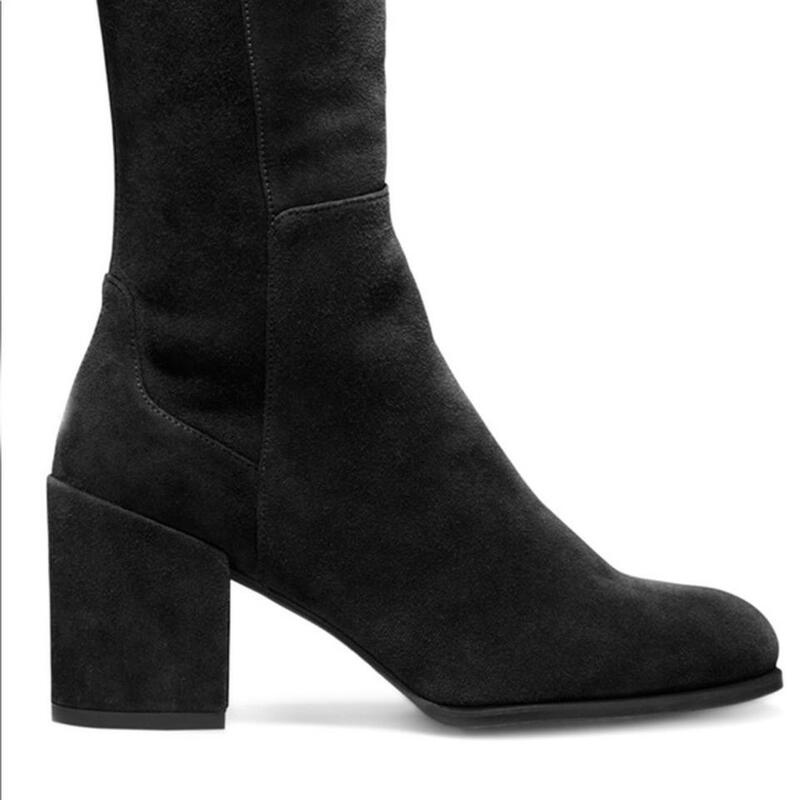 Inspired by the iconic 5050, the ALLJACK boots are cut from sumptuous suede to skim the top of the knee and finished with a stretch suede back -- a new-season update on the signature SW micro stretch back -- for a flawless fit. 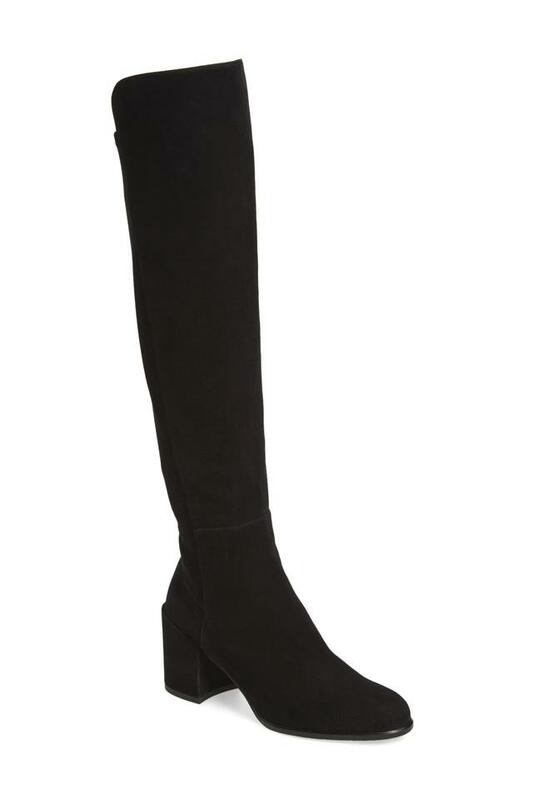 These Mod-inspired block heel boots are ideal with anything from a thigh-grazing A-line dress to leather leggings. 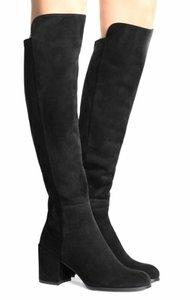 A streamlined over-the-knee boot lofted by a just-right block heel and woven from breathable and stretchy fabric adjusts perfectly to your silhouette, making this a wardrobe-staple style. True to size.Tall knee-high shaft and narrow calf circumference - check your measurements to ensure a good fit. New/Display Boots. Tried on in store, may have scuffs and blemishes other than what's listed here. The listing images are of the actual shoes. Please see images for best pictured details detail.